A pair of California invaders turned the second division of the $750,000 Rebel Stakes (G2) into a two-horse stretch duel, and a photo finish saw Omaha Beach get the nose victory with a head bob at the wire over heavy 1-2 favorite Game Winner. The race concluded an exciting day at Oaklawn Park that featured two Rebel races split into two divisions. A son of War Front, Omaha Beach made his first three starts on turf at Del Mar and Santa Anita Park before switching to the dirt and finishing second going a mile on January 4 at that latter venue. He broke his maiden in his fifth start, drawing off for a nine-length romp on February 2 at Santa Anita. Omaha Beach earned 37.5 points for his Rebel win under jockey Mike Smith, and a spot in the May 4 Kentucky Derby (G1) at Churchill Downs. "We always thought he was a really good horse. Being a War Front, I thought maybe he was going to want turf. But I was wrong with that. He wants dirt," trainer Richard Mandella said. "Coming out of a maiden race, it’s a big step up. "Game Winner ran really good. He hadn’t run in a long time. He’ll probably be tough next time, but mine just broke his maiden. He might be tougher, too." Game Winner suffered his first defeat in five starts, and the Breeders’ Cup Juvenile (G1) winner earned 15 points. The champion two-year-old male now has $1.6 million in earnings and 45 points, which should be enough to get him in the Kentucky Derby. Market King finished third as a 48-1 longshot after setting the opening pace through a quarter-mile in :23.54. Omaha Beach took command soon after that and proceeded to post fractions of :47.29 and 1:11.82. As they turned for home, Omaha Beach and Game Winner separated themselves from the rest of the field and dueled to the line, finishing more then eight lengths in front of the others as they hit the wire together. As the 4-1 second choice, Omaha Beach paid $10.80 to win, $3.80 to place and $3.20 to show while covering 1 1⁄16 miles in 1:42.42. Game Winner returned $2.40 and $2.40 while Market King paid $8.40 for third. Mandella will wait to announce if Omaha Beach will run again before the Kentucky Derby. However, trainer Bob Baffert said that Game Winner will be pointed toward the April 6 Santa Anita Derby (G1) at his home base of Santa Anita Park. That California oval is expected to resume live racing March 29 after shutting down to test the main track. Free Brisnet PPs for the Rebel Division 2 (Race 10)! In the second division of the Rebel, Game Winner will be difficult to deny. The Candy Ride colt, honored as the champion two-year-old male of 2018, has won all four of his races pushing the pace, but was never highly challenged. His sophomore debut is most anticipated, and he’ll be bet heavy like his stablemate Improbable in the first Rebel race. Omaha Beach (#6) (7-2) is the Richard Mandella pupil ridden by Mike Smith who is a contender in this spot. The War Front colt is the front runner expected to challenge Game Winner. He ran well in three starts last year, just missing victory twice, and then broke his maiden on February 2 in a romp at Santa Anita Park. Omaha Beach breaks just outside of Gamer Winner along with Our Braintrust (#7) (6-1) next to him for trainer Mark Casse. Our Braintrust is a stalker who has not flashed the speed of the top three in this race, but did run a close third in the Withers Stakes (G3) at Aqueduct last out on February 2. He’s 2-2-1 in five career starts and gets David Cohen aboard. Laughing Fox (#2) (10-1) will be ridden by Oaklawn’s leading rider on six occasions, Ricardo Santana Jr., and breaks from post 2 between two longshots, the D. Wayne Lukas-trained Market King (#1) (30-1) and Doug O’Neill-conditioned Parsimony (#3) (30-1). Laughing Fox is two-for-two this year over the Oaklawn track going two turns, and the combination of leading Oaklawn trainer Steve Asmussen and jockey Ricardo Santana Jr. make him a popular inclusion in the exotics. Jersey Agenda (#4) (15-1) is another Asmussen runner in the Rebel and will break just inside of Game Winner. The Jersey Town colt is a pace presser who faded last out after running to the early lead in the Southwest Stakes (G3) and will need to bounce back with improvement here. Jose Ortiz rides. 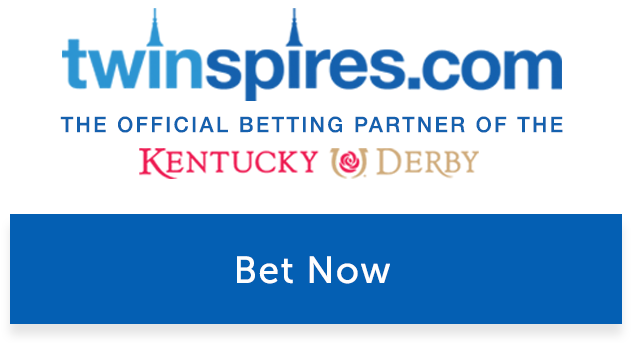 Asmussen also has a pair of longshots on the outside in Kaziranga (#9) (50-1) and Captain Von Trapp (#10) (15-1). Gunmetal Gray (#8) (10-1) is worth watching for trainer Jerry Hollendorfer as the true closer could steal this with a late kick. He finished second behind Game Winner in the American Pharoah Stakes (G1) and then won the Sham Stakes (G3). This Exchange Rate colt has a solid shot with Flavien Prat aboard. Trainer Bob Baffert has won the Rebel a record six times, all since 2010 with the last being Cupid in 2016. Baffert brings two of the top three-year-olds on the Derby trail to Oaklawn for the Rebel. Don’t rule out non-stakes winners, as champion Curlin (2007) won his stakes debut in the Rebel, as did the last three winners, Magnum Moon, Malagacy and Cupid. All of them went off at odds of 7-2 or less. The Rebel Stakes draws crowds of more than 30,000 to Oaklawn, and the race day crowd annually bets more than $9 million on that racing card. It’s a special day at Oaklawn on March 16 with two Rebel races! Owned by Baker, Robert C. and Mack, William L.
Owned by Fox Hill Farms, Inc.